Two new electrical training courses: "Risk Assessment Techniques Using NFPA 70E: A Primer" and "Maintenance and Testing of Battery Systems," provide practical and critical educational information that electrical testing professionals can consume at their own pace. NETA offers 16 SPTS courses for educating new electrical testing personnel or as refresher training for seasoned professionals. NETA, the InterNational Electrical Testing Association, has just released two new electrical training courses as Self-Paced Technical Seminars(SPTS) for the May Book of the Month feature. "Risk Assessment Techniques Using NFPA 70E: A Primer" as well as "Maintenance and Testing of Battery Systems" are available to NETA Accredited Companies looking to earn Continuing Technical Development credits (CTDs) and also to industry professionals looking for continuing educational credits. Technicians often have questions on how to conduct a risk assessment, and NFPA 70E contains considerable information on the topic. 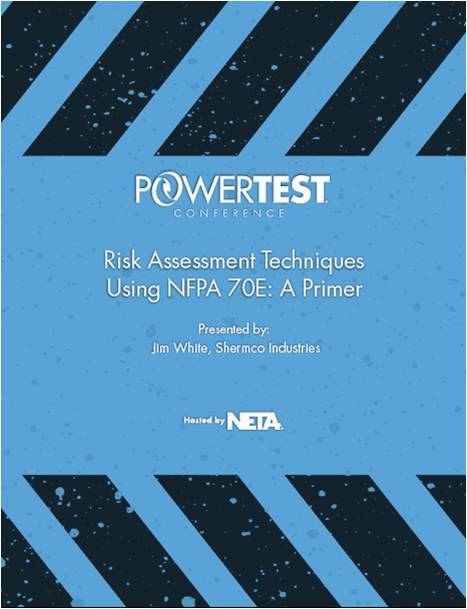 "Risk Assessment Techniques Using NFPA 70E: A Primer," presented by Jim White of Shermco Industries, helps users weed through the information and create a practical and usable risk assessment. The tutorial guides the user’s understanding of how to apply the NFPA 70E information most efficiently and effectively. 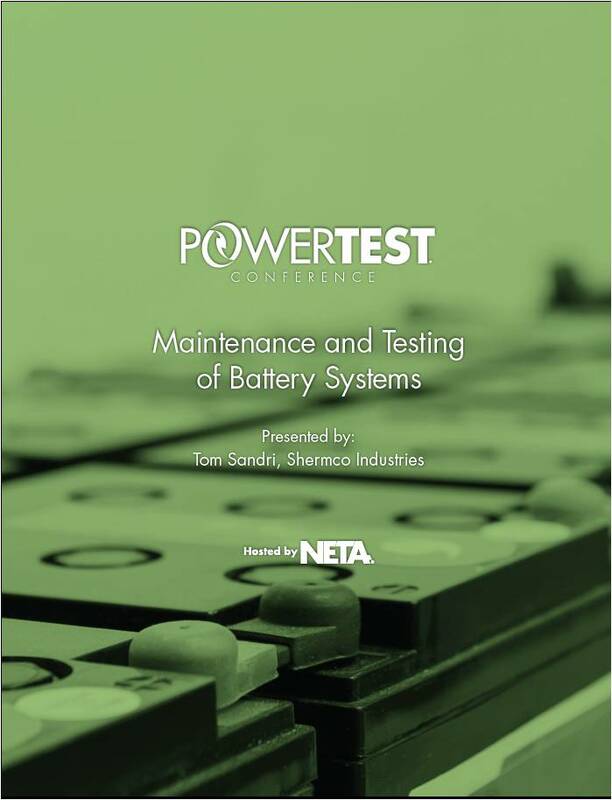 "Maintenance and Testing of Battery Systems," presented by Tom Sandri of Shermco Industries, introduces stationary batteries and their required maintenance and testing. Users learn to identify battery types and understand their construction and intended applications. Explanations of safety best practices and hazard avoidance strategies are also discussed. Various battery failure modes and means of identifying them are examined, along with test and inspection procedures and test result interpretation. These two new Self-Paced Technical Seminars — and many other training resources designed for electrical testing and maintenance professionals — are available through the online NETA Bookstore. NETA offers a total of 16 SPTS courses, which can serve as educational materials for newer electrical testing personnel or as excellent refresher training for more seasoned professionals. To take advantage of the NETA May Book of the Month feature and receive free shipping, visit the NETA Bookstore by May 31, 2016.